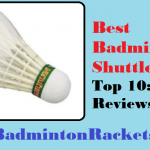 You may know and you agree that badminton is one of the most famous racket sports around the Globe. An Olympic sport that was first introduced and played in 1992 at the Olympic Games in Barcelona. Badminton is the second most popular and participatory sport in the world, and is listed behind soccer. And is known as the fastest racket sport too. Now if we move back to the history a bit more about Badminton. We will find out more about different things connected to badminton. Who played it first, who scored the most and many other things. Let’s move to the most famous players of badminton. 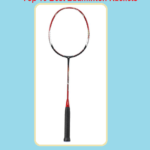 And i have picked the top 10 best badminton players. So, let’s walk through each one of them. Lin Dan is a legendary professional Chinese badminton player. A badminton player that was nicknamed as “Super Dan” by Peter Gade. Lin Dan was also known as one of the best players in singles of all time. And by many people around the globe. Lin Dan was the first guy who and the only player that has completed the “Super Grand Slam” league by the age of 28. 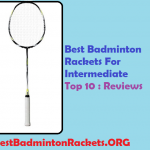 Which contains all nine major titles in the international badminton. Lin Das has also became two-time Olympic champion, five-time World champion. Lee Chong Wei is a Malaysian Chinese professional badminton. Lee Chong Wei is the sixth Malaysian that has won an Olympic Medal. Lee Chong Wei has also achieved silver medal in Olympic Games 2008 and Olympic Games 2012. Lee Chong Wei was the first Malaysian that has reached finals for the first time in men’s singles event of badminton at the Olympiad. Lee Chong Wei was also names as National Super Hero by Malaysian Prime Minister Najib Tun Razak. And he has earned the title of title Dato’ for his contribution in the Malaysian sports. Taufik Hidayat is a retired badminton player who is an Indonesian. Taufik Hidayat has won six times Indonesian Open a record, in years 1999, 2000, 2002, 2003, 2004 and 2006. Hidayat has also won the men’s singles competition in badminton that was held in 2004 Summer Olympics. And Hidayat has won the men’s singles competition at IBF World Championships in August 2005. The major achievements that Hidayat has achieved is a gold, a silver and two bronze medal in World Championships. 2 gold medal in Southeast Asian Games. 3 gold, a silver and two bronze medal in Asian Games. 2 gold, a silver and three bronze medal in Thomas Cup. And 3 gold, two silver and a bronze medal in Asian Championships. Rudy Hartono is a former Indonesian badminton star that has won eight times the men’s singles titles at England Championship. And has a record of seven consecutive wins from 1968 to 1974. In whole career of Rudy, he appeared in the BWF World Championships once, and won in that first attempt at 2nd IBF World Championships in 1980 in Jakarta. He has also won in 1972 Munich Summer Olympics, and won the men’s singles titles. And he was known as the part of Olympic program for the first time. Gao Ling is a legendary Chinese female Badminton player, and Gao Ling is know for her forecourt prowess, consistency, and anticipation. After a look in the history of women’s badminton, we come to know that Gao Ling is one of the most successful doubles players in the history. She has won four Olympic Badminton medals. And she has won many titles in the top-tier tournaments of the world. At the BWF World Championships, he has won four gold medals (among nine medals in total). three of them in women’s doubles with Huang Sui (2001, 2003, and 2006) and one of them in mixed doubles with Zhang Jun (2001). Tony Gunawan is an Indonesian-born player and is known as one of the greatest double players in the world. Tony Gunawan is also a former Olympic medalist and world champion for Indonesia. But now Tony Gunawan represents the United States. Tony Gunawan has won the doubles gold medal in 2005 World Championships. Tony Gunawan played in that league with his American partner Howard Bach. He has also partnered with the Halim Haryanto to win the 2001 World Championships and also the 2001 All-England Open. And he has also partnered with Candra Wijaya to win the 2000 Olympics in Sydney. World champion 2000 Indonesia Thomas Cup team has him as a member. And he has won the match with Rexy Mainaky. Morten Frost Hansen is a retired Danish Badminton star that has spend a long time of 12 years in the top three spots in the world rankings. His fans and media gave him the nickname “Mr. Badminton” because of winning almost every international top level championship but not the World Badminton Championships. He has won four times All England Open Badminton Championships in 1982, 1984, 1986, and 1987. Hansen has also won the European champion twice in 1984 and 1986. And after winning seven consecutive times the Nordic championship from 1978 to 1984 and again in 1988, he made a record. Li Lingwei is a former chinese female badminton player. And she was considered as the greatest women’s singles badminton player all the time by many. Li Lingwei is a brilliant all-around player who has always given the impressive performance on net. She has managed perfectly in teammate, rival, and sometimes doubles with her partner Han Aiping. In 1985 she has achieved the doubles title in the IBF World. And then she has dominated the international women’s singles and won IBF World Championships twice with her partner Han Aiping. She has achieved the 3 gold medals and two silver medals in BWF World Championships. And in her career she has also achieved the World Grand Prix singles title. Then she was introduced in International Badminton Hall of Fame in 1998. Han Aiping is in the ranking of the greatest of woman’s international badminton. She was a former Chinese badminton player and was regarded for her superb overhead strokes. In World Championships, she has won three gold medals and three silver medals and has achieved the 1986 Seoul Asian Games title. She has won two gold medals in World Grand Prix. And won World Badminton Federation’s version for World Championships in 1979. She has also won Hong Kong open four times, and the Malaysia open thrice and Japan Open for twice. And was also named in the Badminton Hall of Fame in 1998. Peter Høeg Gade is professional retired Danish Badminton Player. And he was ranked as No. 1 from from 1998 to 2001. And after that he again recaptured the number one spot in world rankings on June 22, 2006. He has earned 22 Grand-Prix titles that made him one of the sport’s most successful players. Peter Høeg Gade was known for his smooth footwork and fast attacks.